Boston College Digital Collections provide access to rare and unique collections in digitized form. If you have an idea for a project that involves digitization and management of materials for inclusion in the Libraries' permanent digital collections, please contact digital library programs staff. Visit our Internet Archive site to browse the entire Boston College Libraries collection or to explore our curated collections. Search student publications and our historical newspaper collection at newspapers.bc.edu. Discover digitized archival material in our special collections repository. View student and faculty scholarship at eScholarship.bc.edu. Digital copies of diaries held in multiple collections at the John J. Burns Library. These are examples of the kind of diaries written in the 19th century, note that the diarists did not know one another and have little in common. 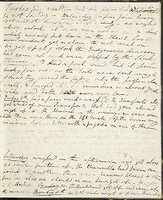 Fully-digitized manuscript containing information from the ship's log and descriptions from several of the ports of call, written by two unidentified individuals. ailleurs is a journal dedicated to experimental writing that was published in Paris from 1963-1966. Edited by Uruguayan artist Carmelo Arden Quin, ailleurs worked as a point of convergence for South American and European intellectuals interested in the intersection of writing and the visual arts. The digital edition of ailleurs was initiated by Prof. Ernesto Livon-Grosman and completed in partnership with the Boston College University Libraries. 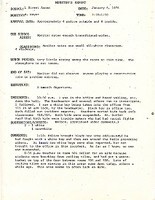 Digitized section of the Joseph J. Williams, SJ ethnological collection featuring handwritten stories about the folk character Anansi written by Jamaican school children in response to a contest Williams ran in 1930. Due to fragility, the analog originals held at Burns Library are not available for access. Approximately 650 first-hand drawings by Joseph Becker and his colleagues depicting numerous aspects of nineteenth-century American culture including the Civil War, the construction of the railroads, the Chinese in the West, and the Chicago fire. Companion website also available. Over 19,000 photographs from award-winning photographer Bobbie Hanvey documenting the people and life in the North of Ireland since the 1970s. The collection contains portraits and candid images as well as journalistic images covering public, paramilitary, and political activity. Companion website also available. Almost 400 images from the Boston Gas Company Records are available for viewing. These photographs date from 1882 to 1972, with the majority between 1885 and 1910. Overall, the photographs are an intriguing look at turn-of-the century Boston life. Approximately 2,500 legal documents and manuscripts focused primarily on Boston and the New England area and spanning two centuries, regarding land use and transfers, law and legal systems, town governance, family matters and daily life. View the Law Library exhibition program on the Brooker Collection. Selected monitoring reports from the institutional files of the Citywide Coordinating Council, which was an court-created autonomous body that oversaw desegregation in Boston Public Schools (1975-1978). The complete Citywide Coordinating Council records are held by Burns Library. This collection was compiled by Elizabeth W. Hayward, a former Ursuline Academy student. It contains correspondence, notes, clippings, and printed material relating to the Ursuline Academy convent fire in 1834 and a reunion of Ursuline Academy graduates in 1878. The correspondence series is the largest and includes unpublished firsthand accounts of the convent fire and riots. Materials date from 1830 to 1985, the bulk from 1878. A Finding Aid for the collection is available. 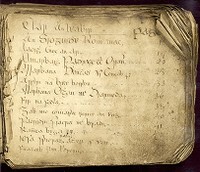 Fully-digitized version of and early 18th-century recipe book containing both culinary and medical remedies recipes in the handwriting of several different authors. The institutional repository of Boston College. The aim of eScholarship@BC is to showcase and preserve Boston College's scholarly output in digital form and to make it freely accessible globally. The Boston College student newspaper began publication in 1919. The University Libraries are currently creating a searchable digital archive for issues dating from November 1919-June 2013. Issues are added to http://newspapers.bc.edu as they are digitized. For current news, see the paper's website. Rev. Charles F. Donovan and Dr. Thomas H. O'Connor's Occasional Papers on the History of Boston College, published between 1982 and 2003. Digitized photos of Boston College from the University Archives. Foundational documents of Boston College reproduced from the University Archives at Burns Library. Published in 1990, this continues the story of Boston College from 1947. Published in 1947, this is the first book-length history of Boston College ever written, this work covers the history up through the Second World War. Published in 2004, this book details the development of graduate education at Boston College throughout the 20th century. Published in 2002 by former Dean of Women Mary Kinnane, this book records the early years of coeducation in the School of Education. Incunabala is a term used to the earliest printed books, printed in the 15th century. The John J. Burns Library's earliest printed book, De Spiritualib[us] Nupciis (On Spiritual Marriage), is available online. For a detailed discussion of the volume, see the post in the Burns Library blog. Fully-digitized version of an early 19th-century Irish-language manuscript held by the Burns Library. Fully-digitized manuscript collection of letters written to James Jeffrey Roche. Original materials are held by the Burns Library. Some digital versions of the ukiyo-e, mingei (folk art), and sosaku hanga ("creative") Japanese prints collected by two familes and now held by the Burns Library. Artists include Ando Hiroshige, Katsushika Hokusai, Katsukawa Shunko, Kitagawa Utamaro, and Isoda Koryusai. Books and manuscripts by and about the Jesuits, including anti-Jesuit writings, from the founding of the Society of Jesus in 1540 to the present, with a focus on the Pre-Suppression period, i.e., 1540 to 1773.Totaling some 13,000 volumes, it is the largest, most comprehensive collection of its kind in the Western Hemisphere. The Kraus Collection is a group of over 100 musical pamphlets collected by Italian musicologist Alessandro Kraus (1853-1931). The pamphlets cover areas as diverse as the history and science of music, instrument catalogs, composer and performer biographies, ethnomusicology, and Gregorian chant. Established in 1978 by the Boston College Theologian and Liturgical specialist, William J. Leonard, S.J., the Liturgy and Life collection documents the liturgical movement in the American Catholic Church from 1925 to the introduction of the Second Vatican Council's reforms. Almost 1200 artifacts such as chalices, statuary, medals, crucifixes, ecclesiastical dress have been photographed for online viewing. Digitization of the pamphlets series is ongoing and covers a wide variety of topics such as art and architecture, Church and state, and female vocation. A Finding aid for the collection is also available. The manuscript transcribed represents an important addition to W.B. Yeats's canon, complementing those already transcribed in The Cornell Yeats volumes. The entire manuscript of Yeats's unpublished play, Love and Death, which he composed in 1884, totals five notebooks, some of which contain loose-leaf inserted papers. Companion website also available. 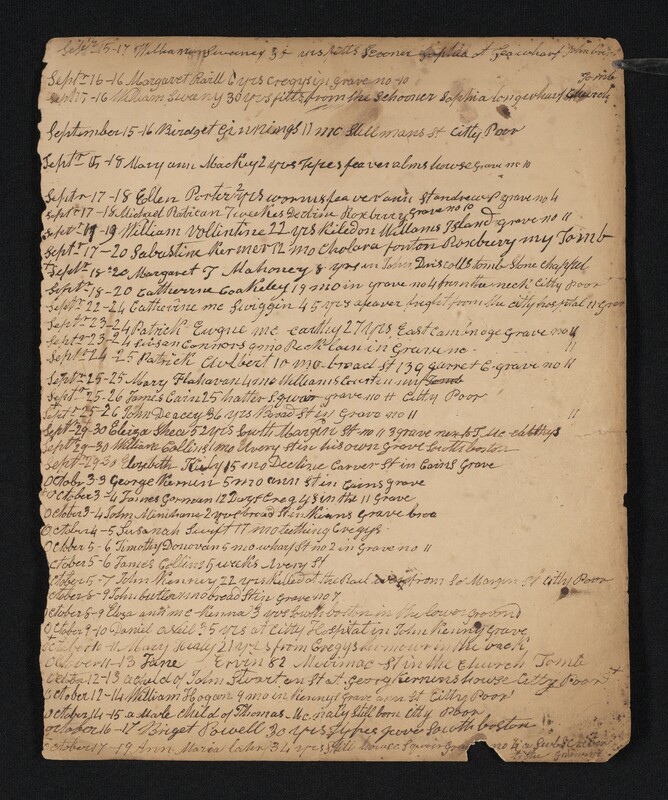 A collection of eight letters and one list, written in Spanish to María de Guadalupe de Lencastre y Cárdenas and Francisco García, regarding Jesuit missionary work and Spanish colonization of the Mariana Islands between 1678 and 1687. Finding aid for the collection also available. Fully-digitized medieval manuscripts. Included are 15th-century illuminated devotional books (books of hours) and a 14th-century volume of monophonic chant held by Burns Library. Michael H. Leary was an Irish-American from Boston, Massachusetts and soldier in Union Army during the Civil War. This collection is composed of correspondence from Leary to Ellen (Nellie) Desmond, mostly written from Virginia. The collection begins in 1861 while Leary was stationed in Washington D.C. and continues through 1863. The final letters Leary wrote from a hospital in Philadelphia, Pennsylvania. The letters provide accounts of Leary's life in the Ninth Regiment of the Massachusetts Volunteer Infantry during the Civil War as well as his desire to reunite with Nellie. A Finding Aid is available. The historic Ratio Studiorum, called "the Magna Carta of Jesuit education," lays out the educational method and system of the Jesuits. The Libraries created an electronic version of The Jesuit Ratio Studiorum of 1599 translated into English by Allan P. Farrell. Published 1888-1918, a Catholic newspaper devoted to local, national, and international news. Includes articles reporting on the Church in the Archdiocese of Boston and New England, with pieces explicating and defending Catholicism. The Sub Turri is the yearbook of Boston College. It was first published in 1913, the golden anniversary of the founding of Boston College and the College's first year at its Chestnut Hill location. The title, Sub Turri, is Latin for "under the tower" and reflects a sense of pride in the Chestnut Hill campus in general and Gasson Hall in particular. Images from the 1930s to the 1980s documenting the life and career of O'Neill, Speaker of the House of Representatives, from his days at Boston College through his terms in Congress as a member of the Democratic leadership. Finding aid for the O'Neill collection also available. XUL: Signo viejo y nuevo is a 20th century Argentine poetry journal published between 1980 and 1997, during a crucial time in Argentina's history. The companion website, XULdigital, is a collaborative project with BC's Instructional Design and eTeaching Services group.